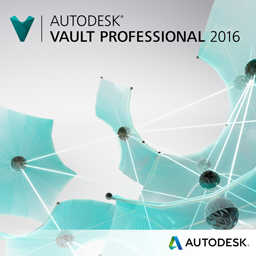 What’s New in Autodesk Vault 2016? Autodesk Vault helps design, engineering, and manufacturing workgroups manage documents and data. Centralizing the storage of all engineering data and related documents, helping reduce time avoid costly mistakes, and more efficiently release and revise designs. Let’s take a look at the updates for Vault 2016. The first thing you’ll notice when opening or placing 3rd party data into Inventor is the new ‘Reference Model’ option. Using this option, you bypass translation entirely – it places the native file into the design and Inventor creates and maintains a reference to the original design. When paired with Vault 2016, you can then check-in the assembly … carrying over the native files, not translated versions. When you receive updated design files, simply update the files in Vault and open the top-level assembly in Inventor – any changes to the model can be updated in a single click – all while preserving the work you’ve already completed. Within Vault, you can perform many of the same actions on imported CAD data as you can with native Inventor files. File properties can be edited – just like any other file managed inside Vault. You can also designate categories, apply lifecycle controls, and assign items to imported CAD files – so they can be easily managed alongside all your other product data. In addition to third party reference support Inventor 2016 also introduces support for AutoCAD underlays in the Inventor environment. Vault 2016 provides reference support allowing users to add, check in and check out drawing files used in Inventor models. Copy Design has a new interface. The main grid displays the current configuration settings—including action applied to the original file, the new file name, and new Copy Design specific values like Component ID and Component Quantity. These two values help you identify individual reference information (which reference the original component and how many references exist or are being created. In addition to the main grid – there are panels to help you see alternate views of the data being copied, find specific source components, change the part number settings, or get an overview of the results. Want to learn more? 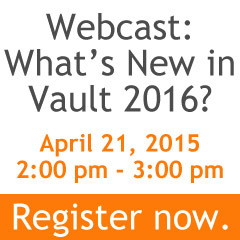 Join us for a live webcast on April 21 to learn how to use all the new features. Register or learn more. Have questions now? Contact us or ask an expert.